Do you know why Push is the next big thing in affiliate marketing? At minimum because of the gigantic volumes! With PropellerAds you can reach 300+ million real push subscribers in any country. 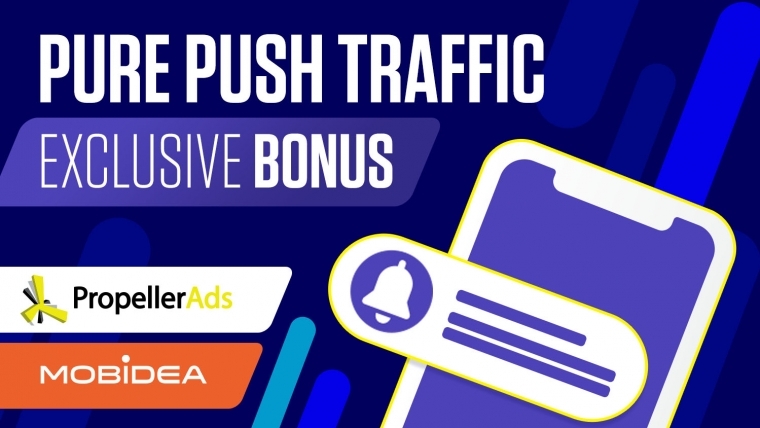 Turn this traffic into quality leads for any offer: Crypto, Finance, Nutrition, Dating, Gambling, Betting, E-commerce, Sweepstakes, etc. Choose between CPC or CPM bidding models and 10+ targeting options. Spice it up with 24/7 campaign moderation, live online Support, large Knowledge Base and smart campaign auto-optimization. Get a $60 welcome bonus!